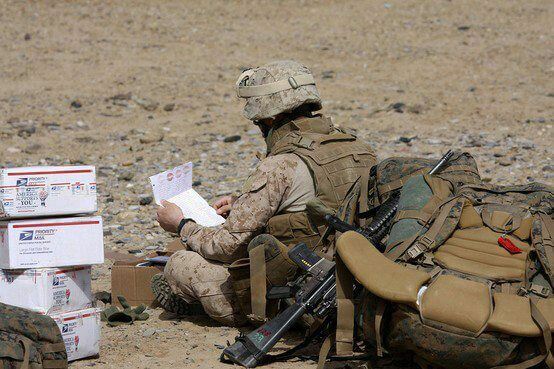 We loved care packages, but what we really loved were the cards that came with them. Every member of our team has a story about a letter from a loved one that pulled them through a tough time on deployment. Even in the age of emails, there was something about a card that stuck out. We could hold it. We could read it and re-read it. Most service members hang them up on the wall to look at when times got tough. We let you send a personalized card with each care package, with no word limits. If you write too much to fit on one card, we'll add another free of charge. Not only that, but we included an option for you to upload a photo to include with the card (just like the card below) so your service member can see a glossy, professional-grade picture of the people he or she cares about the most. 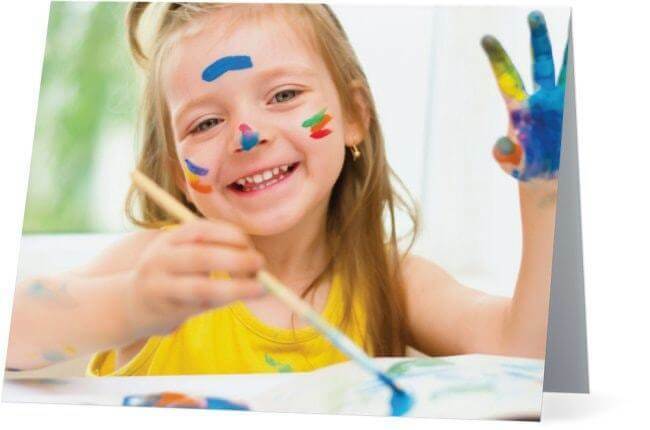 We include a pre-addressed & pre-paid postcard for your Hero to write you back in every Hero Care Package. We know how important this is: we loved reading cards just as much as we loved writing them, but waiting in line to buy postage was a hassle. Our return postcard allows your service member to write you a note, drop it in the mailbox, and tell you how much your gift means to them. It's our way of making it just a little easier for those deployed abroad to communicate with home, and to do do whatever we can to bring them the best experience possible.